The managing director of the Sarova Group of Hotels, Jaideep Singh Vohra, passed away in a road accident Friday afternoon. 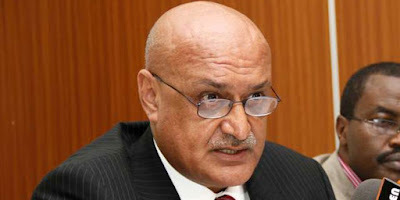 Mr Vohra, who also served as the Kenya Association of Hotel Keepers and Caterers chairman, succumbed to injuries suffered after his vehicle rolled around the Amboseli Lodge while en route to watch the East African Safari Classic Rally that is in its second day. The late Vohra, a racing enthusiast, was the chairman of the East Africa Safari Classic Rally. This year’s event, which is taking place in Kenya and Tanzania, has attracted tens of participants. With deep regret, we announce the passing of J.S. Vohra in a road accident today, Richard Leeke, the Safari Rally clerk of course, said in a statement Friday evening. We believe that he would want the East African Safari Classic Rally to continue and we as organisers believe the 2017 event should continue in his memory. Our condolences go to his family and friends. Raju Kishnani, his fellow director of the Classic Rally, was injured in the accident. Mr Kishnani was flown by helicopter to the Nairobi Hospital for further treatment. The second day action was stopped by the organisers soon after hearing the sad news of the leader of the world famous competition. Mr Vohra served as the managing director of the hospitality group which consists of hotels, resorts and game lodges. They include the Sarova Stanley and the Sarova Panafric in Nairobi, the Sarova Whitesands Beach Resort & Spa in Mombasa and Sarova Mara Camp in the Maasai Mara Game Reserve. The group’s latest property is Sarova Woodlands, a Sh1 billion five-star hotel in Nakuru hotel that Sarova opened in August. Sarova is owned by the family of the late businessman G.S. Vohra and John Ngata Kariuki, a former Kirinyaga Central MP and brother to former spymaster the late James Kanyotu.